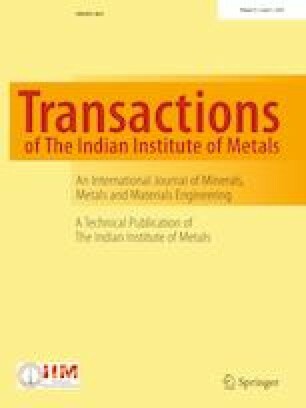 Microstructure, mechanical and bio-corrosion behaviour of Mg–4Li–1Ca rolled at different temperatures was systematically investigated. The microstructure revealed variation in grain size and defect densities like twins and dispersion of Mg2Ca compounds due to the effect of hot rolling at different temperatures (250, 300 and 350 °C). In vitro tests like electrochemical polarization and hydrogen evolution tests were performed in Kokubo’s simulated body fluid to understand bio-corrosion behaviour. The mechanical properties were evaluated by uniaxial tensile test. All these test results showed that the Mg–4Li–1Ca alloy exhibited superior mechanical and bio-corrosion properties after hot rolling. In addition, the alloy rolled at 350 °C revealed better bio-corrosion behaviour and biocompatibility than 250 and 300 °C hot-rolled alloys.